Atop a beautifully-restored, historic building in downtown Amity, the Amity Flats combine local history with modern comforts and amenities at the gateway to the Eola-Amity Hills AVA. Well-equipped kitchenettes, luxurious beds and tasteful decorations nestle within exposed-brick walls and tall, open-beam ceilings. Powered by a state-of-the-art solar system on top of the building, the units range in size from a standard hotel-type room to a 2 bedroom/2 bathroom suite. A short walk or bike ride (bikes are available for rent with advance notice) will bring you to several, local wine tasting rooms (The Bramble is just downstairs; Coehlo’s Winery is across the street) or to the Brigittine monastery to try their amazing chocolate. You’ll want to venture into the beautiful surrounding hills to sample wines from any of the several dozen world-class wineries. Free private parking, a secure storage area for bicycles and charging station for electric vehicles are available. Optional breakfast, picnic or wine/cheese baskets may be pre-ordered. Our beautiful Eola Amity Hills outdoor living space with spectacular views awaits you at this recently renovated 30-acre estate. 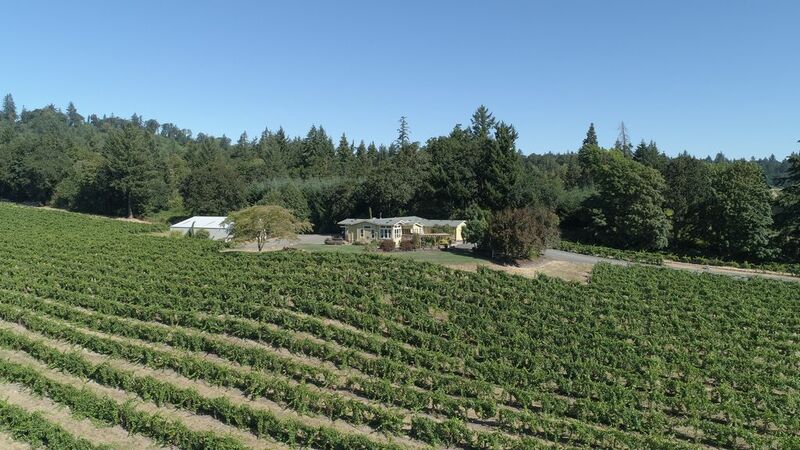 AtTheJoy sits in the middle of the Anahata vineyard where you can enjoy panoramic views of the Van Duzer Corridor to the west and Temperance Hill to the east. Spend peaceful days around the patio basking in the sun, swimming in the pool or relaxing in cozy lounge areas. In the evening ignite the fire pit for ambiance, enjoy some wine and take a soak in the hot tub. Bella Collina B&B is a premier destination inn designed from the ground up for comfort, relaxation, and serenity. Situated on a hillside with views of vineyards, farmlands, and the Coast Range, Bella Collina offers an ideal venue for a romantic getaway, friends retreat, and wine tasting adventures. A third floor Sky Loft and deck is where the sunsets are most magnificent. Each of our luxurious guest rooms has been designed to maximize the pleasure of visiting the Willamette Valley. Our house was constructed with comfort and privacy in mind, as shown by features such as: private decks, Double-headed, tiled showers, Heated Tile Floors, wet bar with sink, microwave, Keurig coffee maker, and fridge. 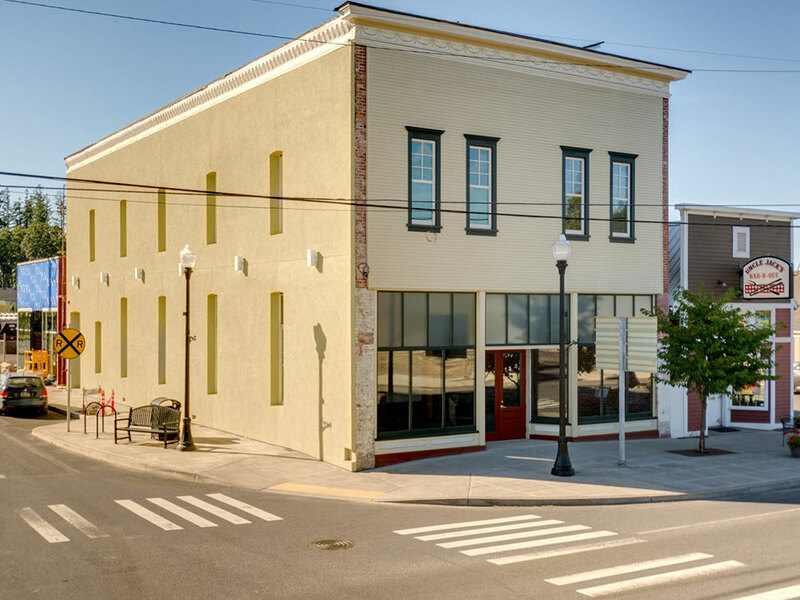 Located in the heart of historic downtown Salem. This is a quiet, clean, 2400 sq. ft. two bedroom loft for one to four guests. The entire loft is your private space, including the 800 sq. ft rooftop deck with views of the Willamette river and Riverfront park. 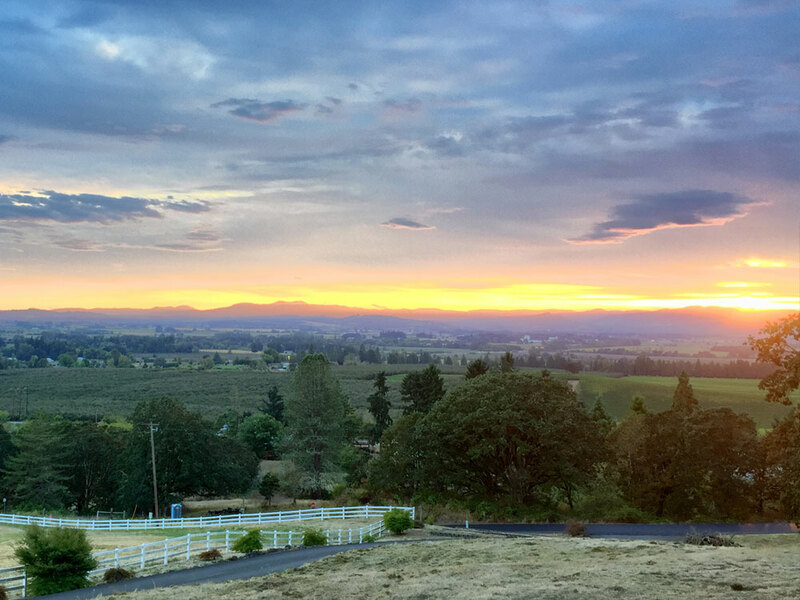 Enjoy a glass of wine or a pint of NW micro-brew and watch the sunset in the hills of Polk and Yamhill county wine country. 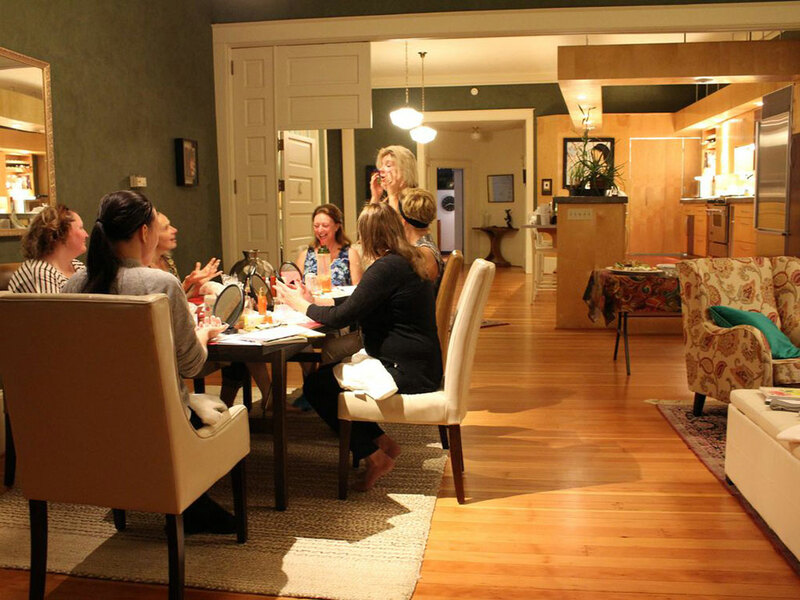 There is a well-appointed gourmet kitchen and dining room. Enjoy the media room with 40 inch LCD TV and high speed WiFi internet cable with download speeds of 50 Mbs and 10 Mbs upload. Bathroom is 400 sq. ft. fully stocked with robes, toiletries and more. Two person jetted Jacuzzi tub and separate shower. Full size washer and dryer and laundry sink. Nestled on the SW side of Eola Hills overlooking the Willamette Valley is the Eola Hills Vineyard Vista House. 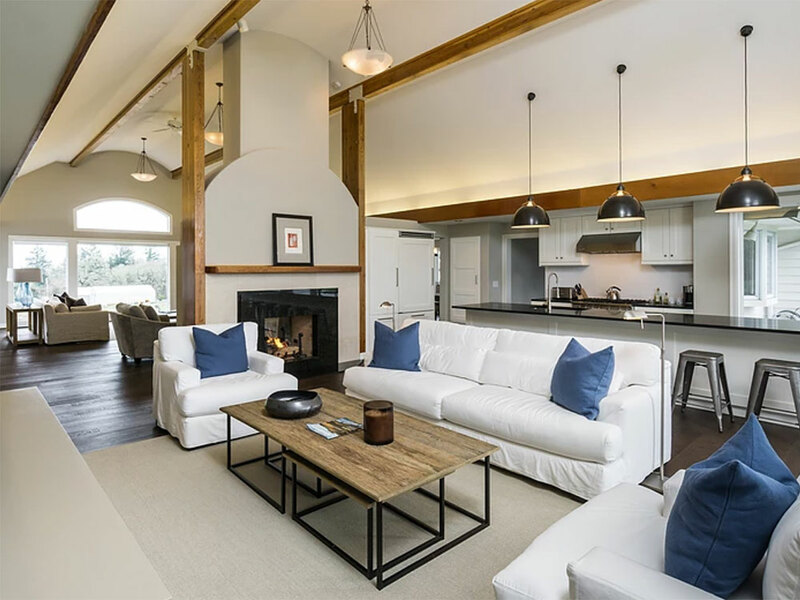 Whether seeking refuge for a weekend of rest and relaxation, a special romantic getaway to wine country or seeking a special place for a family dinner celebration, the Vineyard Vista house has a most special location. Perched on Eola Hills southwest side, the Vineyard Vista House offers a panoramic view from east Salem’s southern hills, south down the Willamette valley and then across to the west. 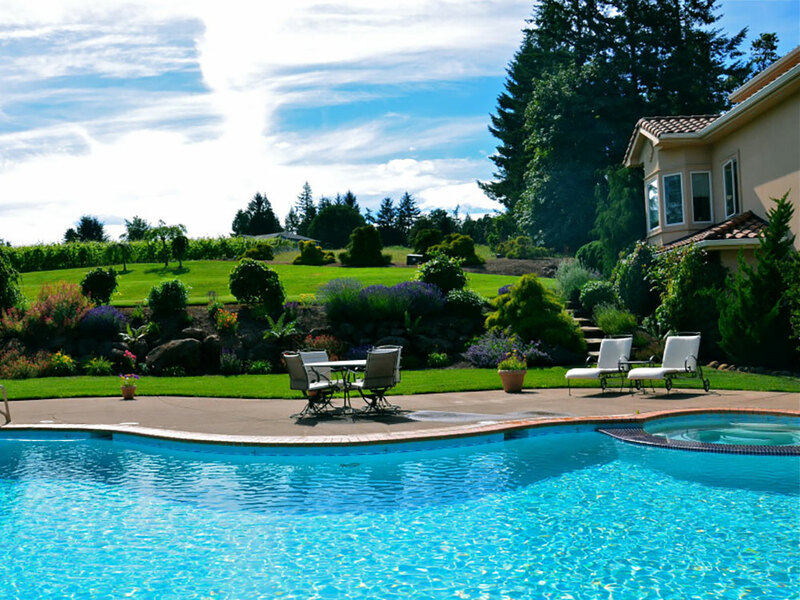 Stretch your gaze over orchards and vineyards to the coastal cascade mountains beyond. All framed with the days season around you. Sunsets are magical! Owners Allen and Jill Methven welcome you to our Estate Villa located on the hilltop of our 100-acre property overlooking the vineyards. We enjoy spectacular views of Mount Hood, the Cascades in the distance and a beautiful stand of old growth White Oaks. The setting is very reminiscent of being in Tuscany with the rolling pastoral countryside and picturesque vineyards that surround the property. Our Villa houses five spacious private suites, each with its own bath and sitting area. 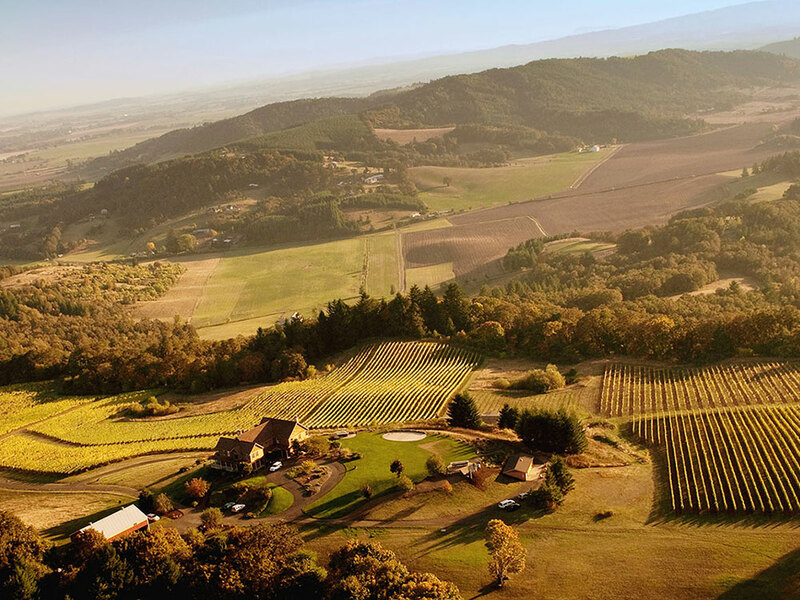 Right in the heart of the famous Eola-Amity Hills AVA of Oregon Wine Country. Dozens of word class wineries and tasting rooms within a 15 mile radius. 20 minutes from Salm, McMinnville, Dundee and Newberg. 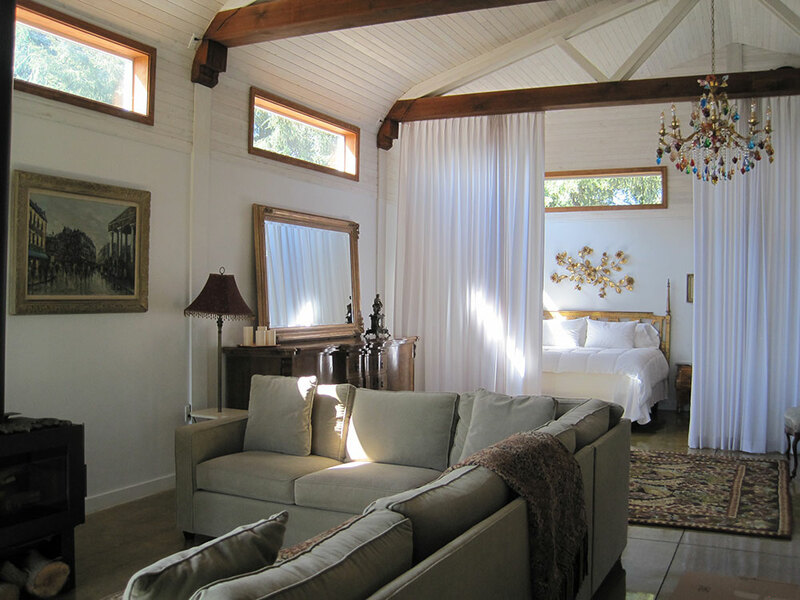 Nestled on a quiet hillside in Eola-Amity Hills wine country, Vivid Vineyards Cottage & Loft offers the perfect retreat from a day of wine tasting. Choose the sumptuous Cottage or the Loft’s open living concept. Both are stand alone and equipped with gourmet kitchens, fine linens and inspiring decor. Owned and managed by Bruce & Angelica Wianecki, each guest house is uniquely designed with attention to detail and luxurious comfort. Experience the delightful views while savoring our estate wine at one of our award winning guest houses. Youngberg Hill will take your breath away with the most beautiful views, warm luxurious Inn, personal and impeccable service and exceptional estate wines. 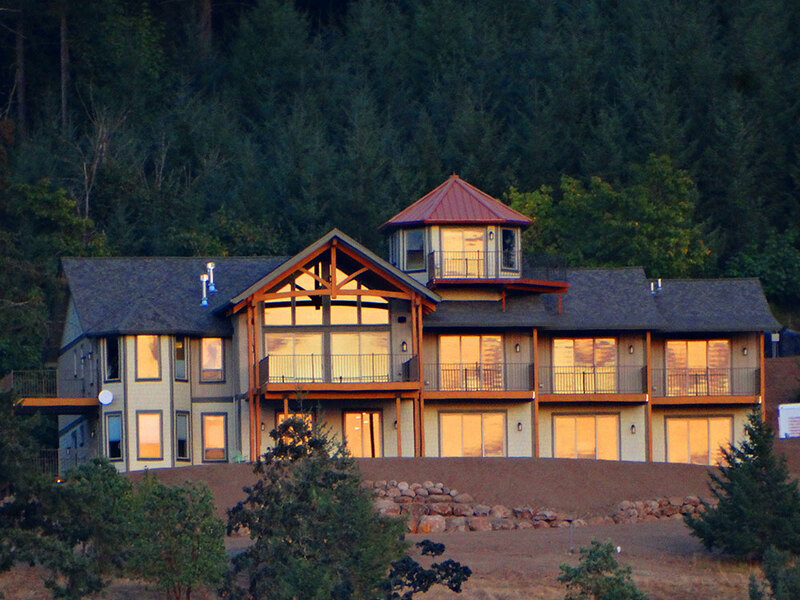 Youngberg Hill provides the perfect location for those seeking a quiet, romantic getaway and a great base for touring Oregon wine country.